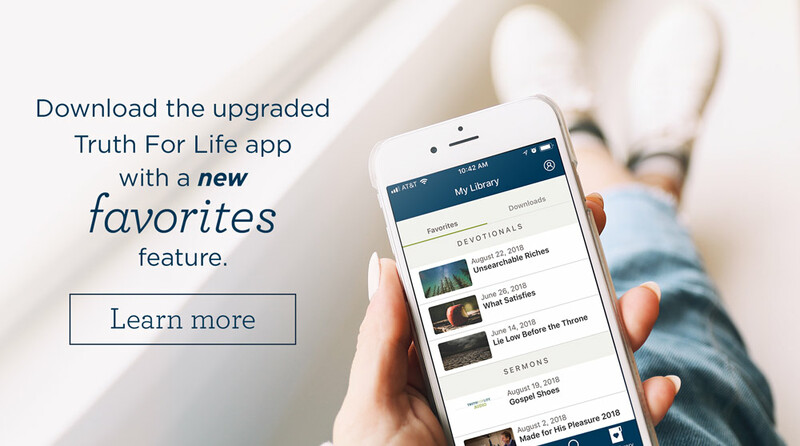 With the new “Favorites” feature on the upgraded Truth For Life mobile app, you can now store all of your favorite sermons, series, broadcasts, and daily devotionals to a personal FAVORITES folder. Simply click on the heart icon on the far left just below the teaching you want to save as a favorite, and it will automatically be saved in your FAVORITES file. To later access your favorite teaching, select the “My Library” icon at the bottom right of the screen, then select the FAVORITES box. You’ll see your favorite teaching saved under the following headings: Devotionals, Broadcasts, Sermons, and Series.